I’m sure if you’re hosting Thanksgiving you’ve already got your whole menu planned out. But just in case you tend to procrastinate, or your plans have changed and now you’re planning a sort of last minute Thanksgiving meal (me!!) then you’re in luck! I love Thanksgiving. I know a lot of people get stressed out about it, but over the years I’ve landed on some amazing recipes that I truly enjoy making and serving. So, I thought I’d pass my favorites along in case you’re in need of some inspiration. Seriously. So easy, and SO GOOD. Cooking a turkey always used to make me nervous, and I would always make Seth do it. 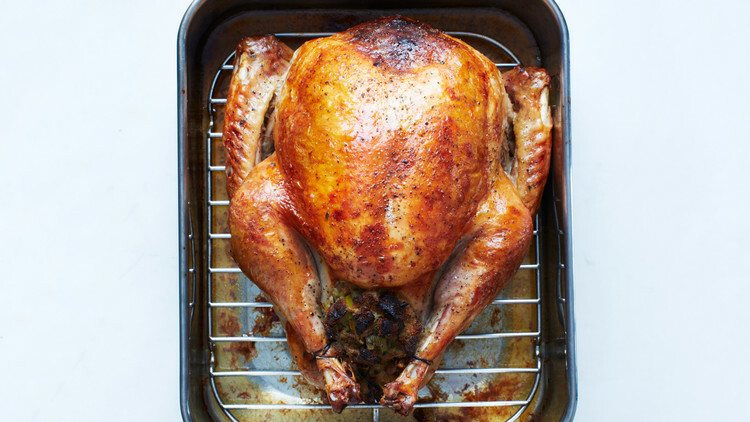 A few years ago, however, I found myself in charge of the turkey and gave this recipe a go. It turned out awesome, and it’s my go-to turkey recipe. The parchment paper bag keep the meat super moist, and the slathering of butter makes the skin extra crispy and tasty. I don’t put stuffing in, as the recipe calls for. I just put a quartered onion, salt, pepper, and a couple sprigs of whatever herb I have around and call it a day. Yep. It’s as amazing as it sounds. And, you can caramelize the onions ahead of time if you want to make things easier on turkey day. 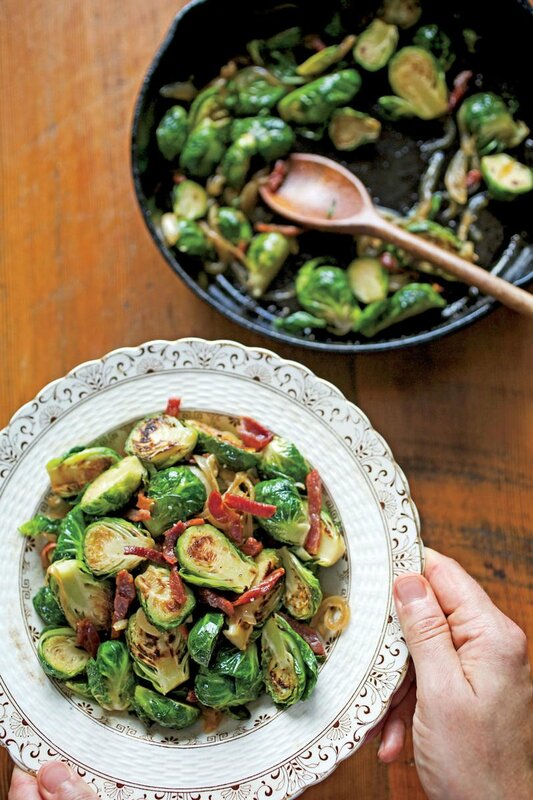 You might think I love this recipe because of the bacon. And you’re right, the bacon is amazing. But, what really puts it over the top and raises it to the status of favorite Thanksgiving recipes is the addition of the pickled shallots. You’re welcome. Thanksgiving is really the only time of year you can justify serving a dessert as part of the main meal. So, you might as well add as much butter, sugar and nuts on the top as you want. The pecan crumble puts this one over the top. 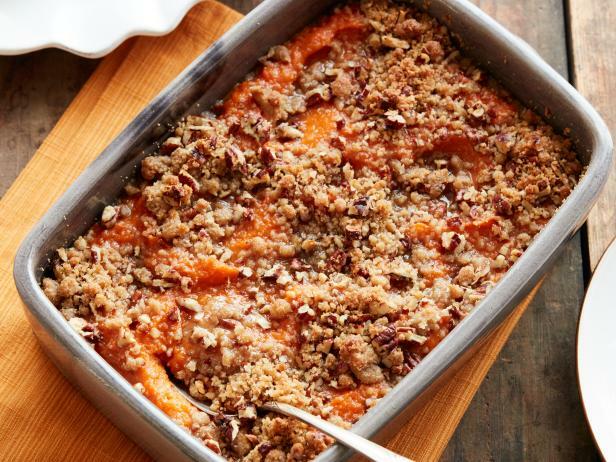 It’s pretty much a sweet potato cobbler. 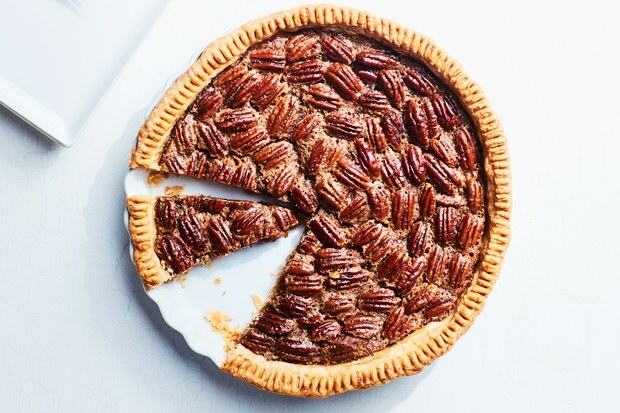 I just discovered how easy pecan pies are. This pecan pie is amazing…go for the Trader Joe’s pre-made pie crust (in the frozen foods section) and I’ve never added the orange zest. It looks really pretty, too! All photos sourced from their recipe links. I’ve been wanting to make a pecan pie, so thanks for the recipe! This Thanksgiving I made Bon Appetite’s from-scratch green bean casserole. It didn’t turn out great, but I think its because the heavy cream I used was too heavy — almost the consistency of yogurt. 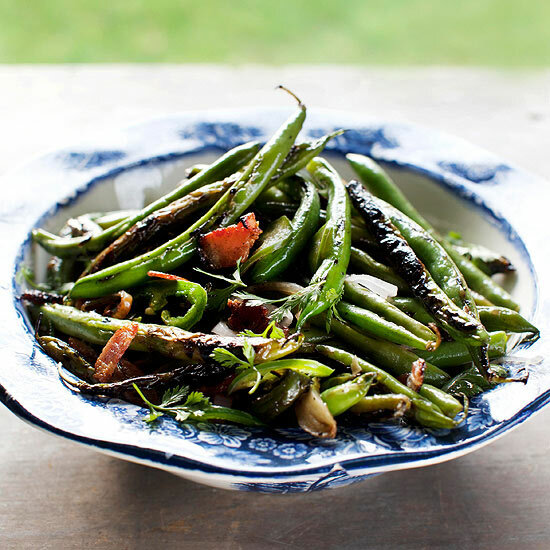 Any recommendations for a better green bean casserole recipe (that doesn’t involve a can of soup)? Looks like the heavy cream is cut a bit with added stock. Might not be as thick. Also, please make this for Christmas.